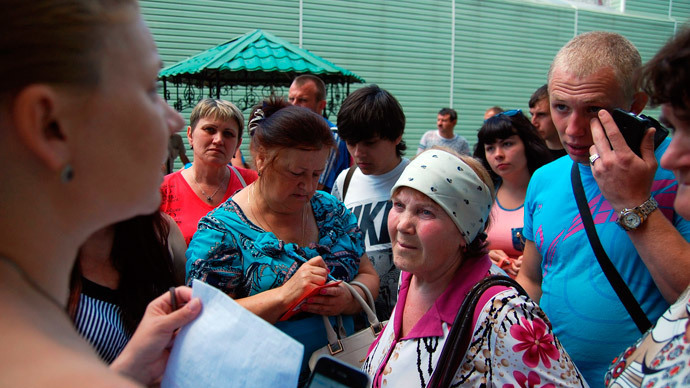 Russia’s state agency in charge of migration is proposing a quick and simplified way to grant temporary asylum to Ukrainian refugees who are arriving in the country by the thousands as the conflict rages in their home regions. The draft document detailing the new procedure has been published on the government portal for public discussion. The proposal suggests regional migration officials should decide on granting temporary asylum to Ukrainians within three days instead of the current three months. In addition, the agency suggests doing away with the obligatory health test for the Ukrainians seeking asylum. The Federal Migration Service also wants to stop deporting and extraditing Ukrainians until ordered otherwise by the Russian government. 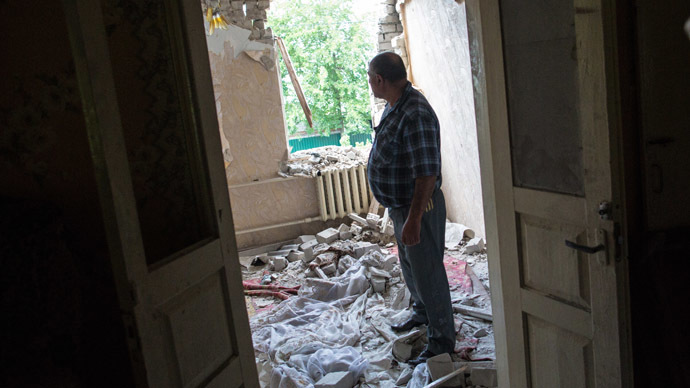 According to migration officials, such measures were necessary due to the difficult internal political situation in Ukraine and the continuing influx of Ukrainian citizens who seek asylum in Russia. Also on Monday Prime Minister Dmitry Medvedev created a government working group looking at the operational problems connected with the Ukrainian refugees. The group is headed by Dmitry Kozak – the Deputy PM for social issues and regional development who used to be presidential representative in the Southern Federal District. PM Medvedev ordered the setting up of refugee settlement centers in various regions of Russia. “These people must find themselves in humane conditions, regardless of the fate they choose in the future, be it a temporary short-term stay, or receiving refugee status and potential application for Russian citizenship,” the Prime Minister told his deputies at the government meeting. 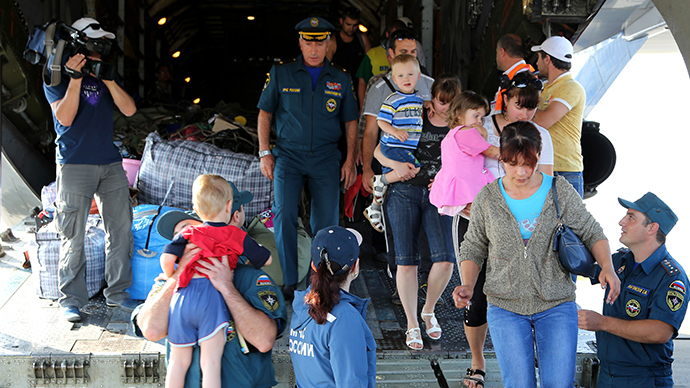 According to the UN agency for refugees, over 110,000 people have arrived to Russia from Ukraine since the beginning of the military conflict in the Donetsk and Lugansk regions. At the same time, only about 10,000 of them have officially applied for asylum or refugee status. 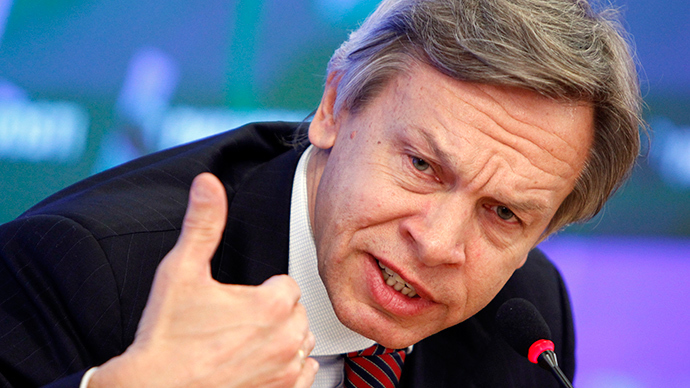 The situation has already prompted several suggestions from Russian authorities. 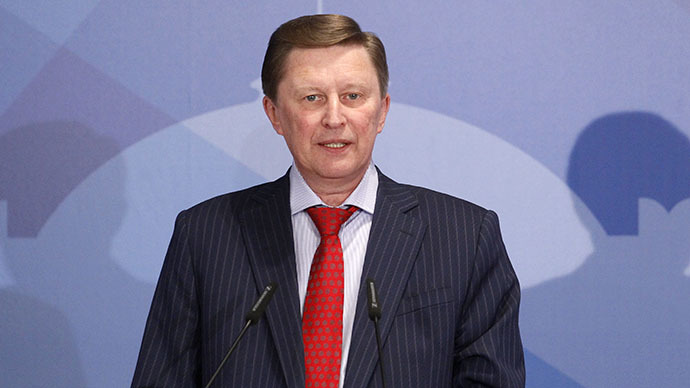 Earlier this month the head of the presidential administration, Sergey Ivanov, suggested starting giving Russian citizenship to people born on the Russian soil. Even before that Russia introduced simplified rules for people with a good command of Russian who can prove their Russian, Soviet or imperial ancestry. Apart from that, Russia offers citizenship to investors and graduates of Russian universities who choose to work inside the country and stick to the profession they studied.